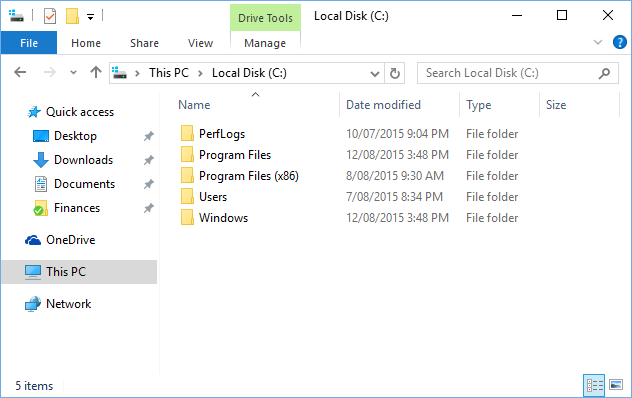 In Windows, by default hidden and protected operating system files and folders are not shown in Windows Explorer. The below screenshot illustrates what a typical Windows 10 installation looks like when hidden and protect files are not shown. 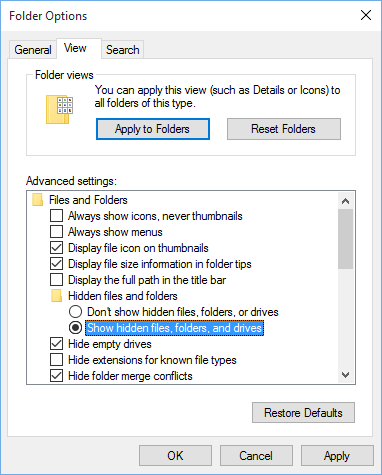 To show hidden files, in Windows Explorer select the View tab and then click on the Options button. 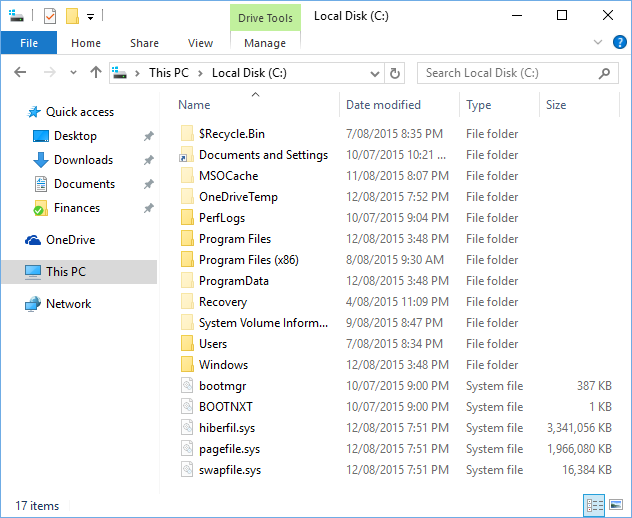 Find the option Show hidden files, folders and drives and select it. Click OK.
Windows Explorer will now show you hidden files and folders. Protected operating system files are still hidden though. 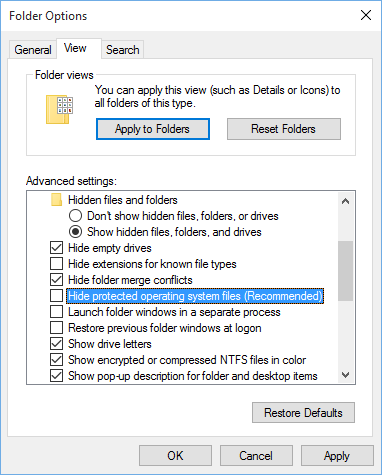 To see these files and folders, go back to Folder Options and find the setting Hide protected operating system files (Recommended) and deselect it. We have also deselected the option Hide extensions for known file types in our example. As protected operating system files are critical to the operation of Windows you will be presented with a warning asking you if you are sure you want to do this. Click Yes. 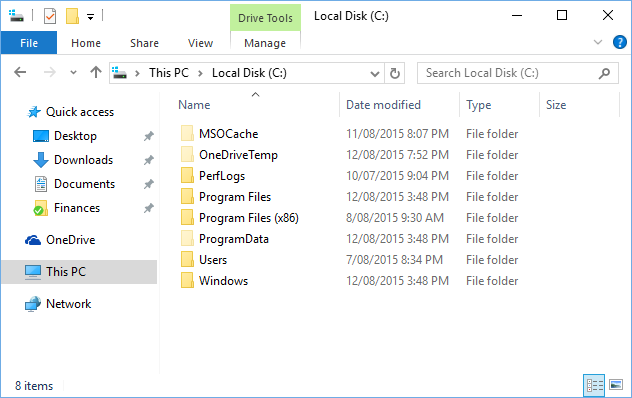 Hidden and protected operating system files should now be shown in Windows Explorer. To hide these files again, simply go back into Folder Options and undo the changes you made.